The forested “Dewatto Shoreline Preserve” encompasses 1,700 feet of high-bank waterfront, as well as streams and tidelands. 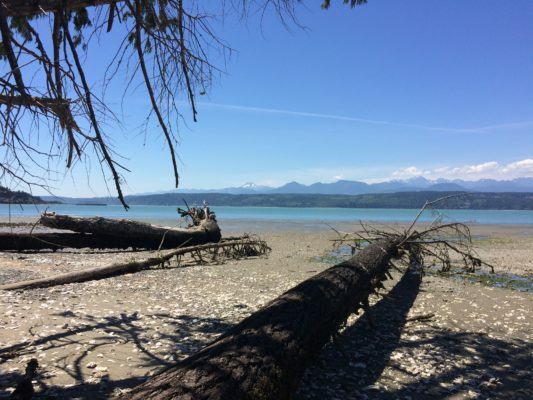 Its beaches provide spawning area for surf smelt, a food source for salmon and halibut. The property borders state forest. At the north end of the canal, the “Bob and Melissa Olson Shoreline Preserve” spans 490 feet of shoreline and 6 acres of tidelands. Fall chum spawn along a stream that runs through a steep ravine on the parcel, shaded by mature forest.